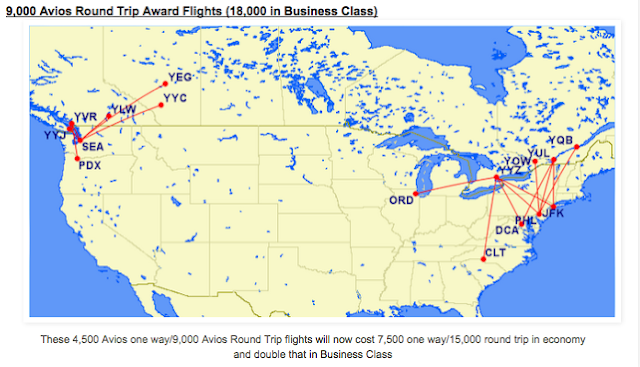 Rewards Canada: February 1 Update: LAST DAY to book British Airways 4,500 Avios Short Haul Flights North America, MLL Pass giveaway and more! February 1 Update: LAST DAY to book British Airways 4,500 Avios Short Haul Flights North America, MLL Pass giveaway and more! New month, new week here on Rewards Canada! Enter to win a pair of Maple Leaf Lounge passes! Find out more here. This is the last day for you to book British Airways Executive Club short haul award tickets in North America for only 4,500 Avios! Tomorrow the rate jumps to 7,500 Avios at 10am GMT (5am EST). Find out more here.